Last week I got one email from a dear reader who asked me what scents I used for June or currently using. Well this time I chose Engage Cologne Spray. I wasn't fond of deodorants much until I have used Engage. About the Product - Engage renowned brand in deodorants has launched an innovative product which is cologne spray. Normally the function of cologne was to use behind ear for keep the area fragrant and give pleasant feel to one who greets you European way. Since I was a kid I loved cologne. I would take out from my father's cupboard to try on me. 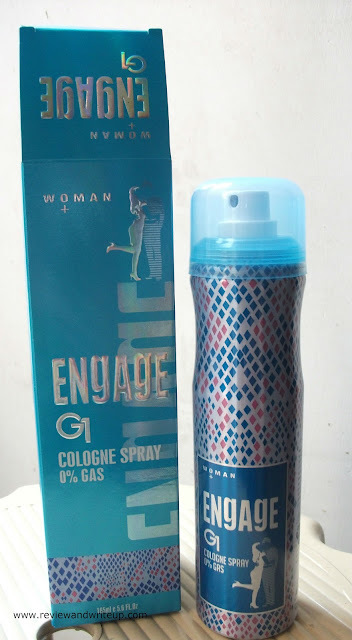 When I came to know about Engage Cologne Spray I was eager to try these out. Engage Cologne Spray are available for both men and women. I got three for myself (greedy me) G1, G2 and XX3. G1, G2 are for women and XX3 are for men. Packaging - Engage Cologne Spray comes in attractive rectangular box. Brand has used the colors to differentiate spray for women to men. G1 box looks aqua blue in color and G2 in attractive purple shade. Both are lovely girly shades. XX3 comes in G1 comes in aqua blue color, XX3 comes in black color. Similar color patterns are used on the spray bottles. Spray bottles are sleek in design, adds to aura of my dressing table. My Experience With the Product - Before I go any further let me clear one myth. Some people think that cologne spray usage is similar to that of any cologne. The real thing is its cologne spray which can be used on body as well as clothes. I have tried all three fragrances and loved all of them. G1, G2 are mild whereas XX3 has strong fragrance. I loved all three. I have been using them from last one and half month. These are skin friendly, doesn't darken skin (which is my major concern whenever I pick up any deo) and keeps refreshing for long hours. In this humid summer season also it goes fine for 3-4 hours. I have tried these on clothes as well. They don't leave any stains behind. Its amazing right two in one combination. Don't tell anyone at times I go out with XX3. It feels amazing to smell so good. These are easily available and comes at affordable price. Bottle is easy to carry in bag. It has longer shelf life and if you use daily then one bottle is sufficient for upto two months. 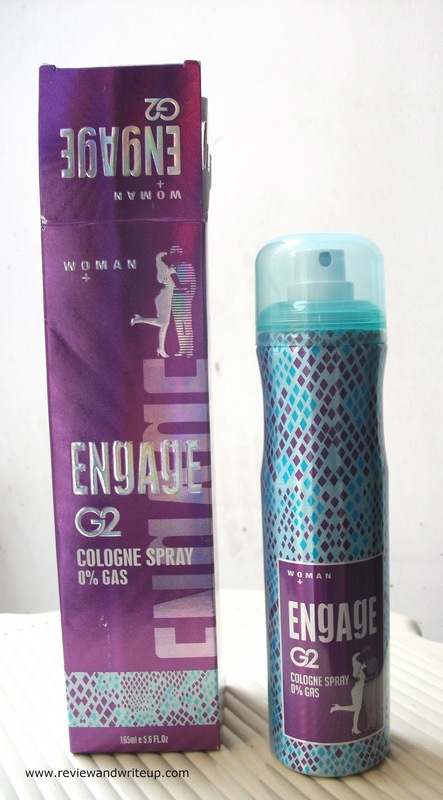 R&W Recommendation - If you are deodorant fan and want to experiment with new brand you have to try engage.